Thanks to Rory’s astute research we needed an electronic visa to enter turkey for about AUD50. I did this prior to leaving Australia and printed it at work before leaving. Sadly I didn’t add it into the ordered sheaf of print outs I had and so didn’t have it at the immigration counter. And English wasn’t strong. They didn’t care for my hotel reservation or flight details. Rory smartly had his on hand. It also appears you can sort it on arrival. 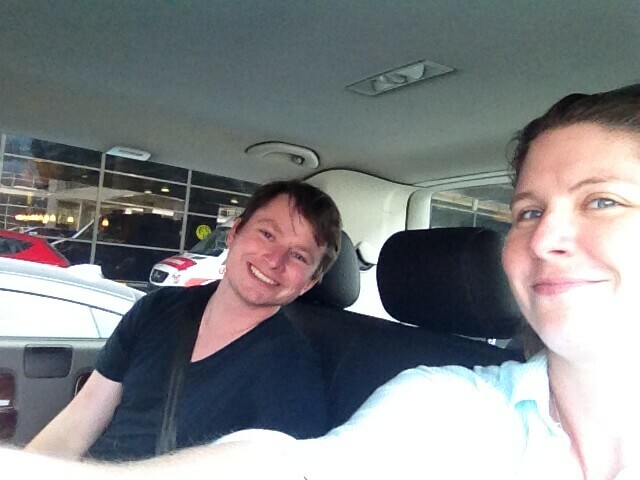 I’d organised a transfer seeing the hotel offered and we were flying into the “cheap” airport further away. So name was on display and the arrival hall was pretty light on people generally speaking. We had a chaperone who seemed to know half the people at the airport, take us to our mini van which was suitable for our full family tour group (ie my family of five). Air con optional. We asserted our preference. So they use the script/ alphabet we do, not Arabic. There are accents, the ö for example. (The Romanians had t with a cydilla as well as a smiley up thing above some letters, which my phone seems unable to offer). In the small sampling so far, English seems less prevalent or strong here. 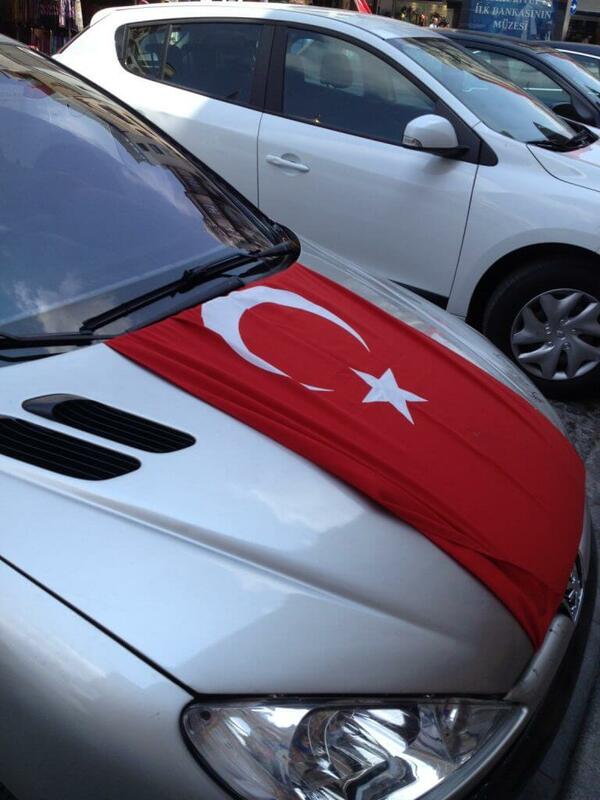 The Turkish number plates are distinctively European and seem to miss having the flag but have the letters to the left in the blue stripe. BNP rejected my card from anz likely due to the lack of chip. 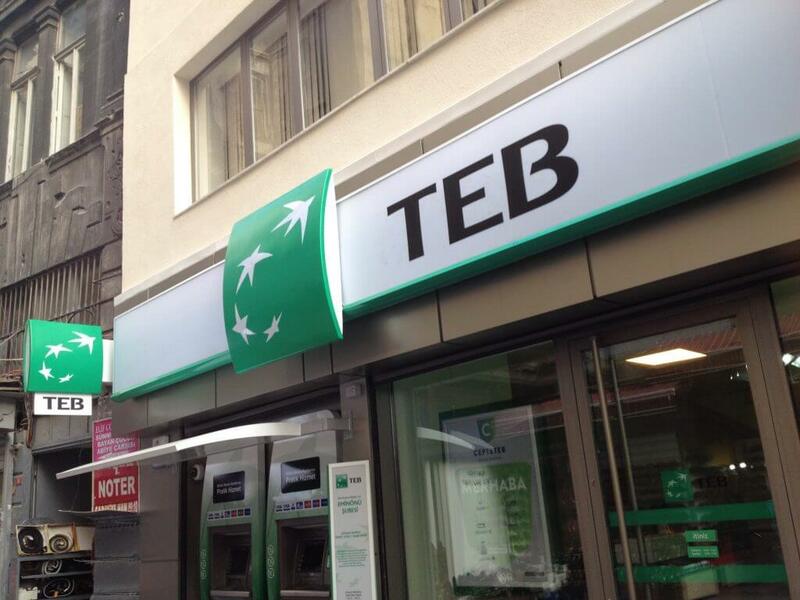 Another bank we’d seen advertised in the in flight mag offered withdrawals in local currency and euro. Our hotel had quoted a cheaper cash price, in euro, so I got some. We’d seen RON/euro ATMs around town in Bucharest but the airport ATMs didn’t offer this. 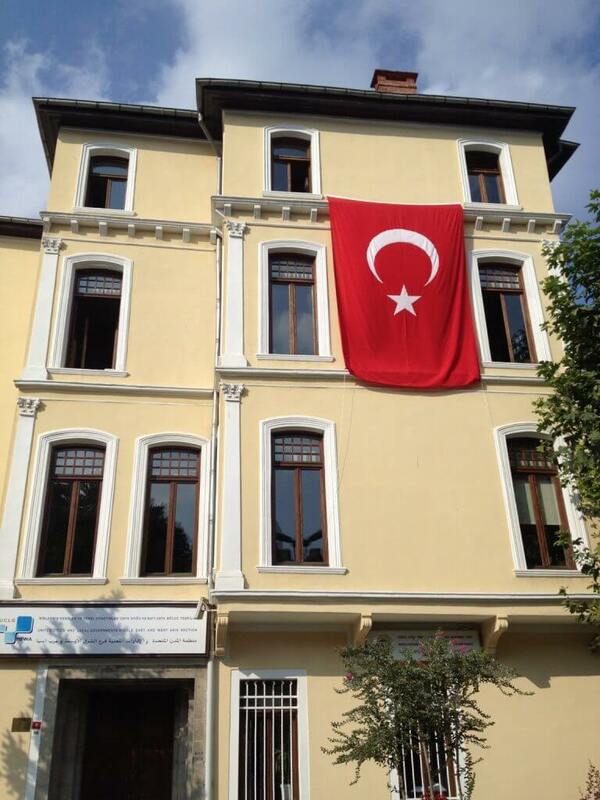 There are Turkish flags everywhere. More often than not hung from their shorter side. They are strung between two apartment windows or two light poles, or the apartment banister. Even corporate buildings have them hanging out widows which makes me feel like it’s a more recent show that a conscious or long term habit. 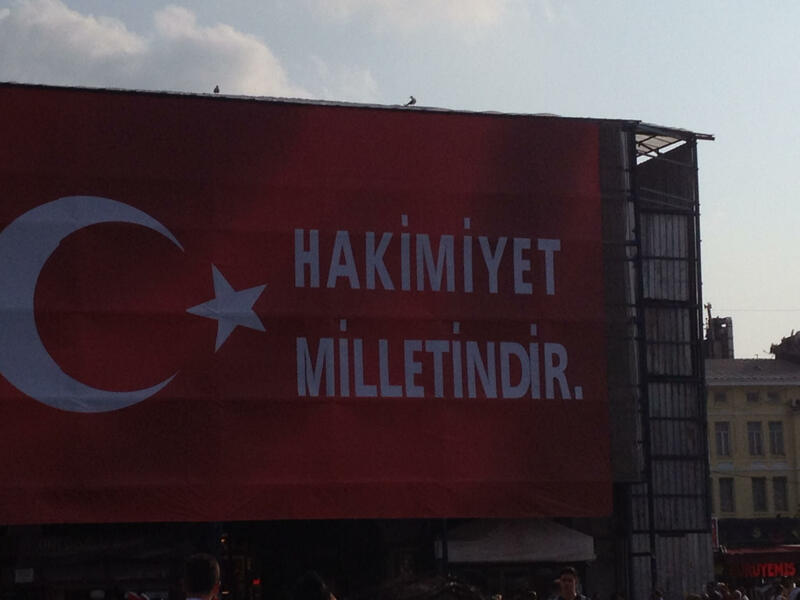 Everywhere there’s banners with “Hakimiyet milletindir” with the flag. This appears to be the govts attempt to unite the people against the coup. We happened to see a similar ad on tv too. Overall though, it seems busy, people everywhere so…?! 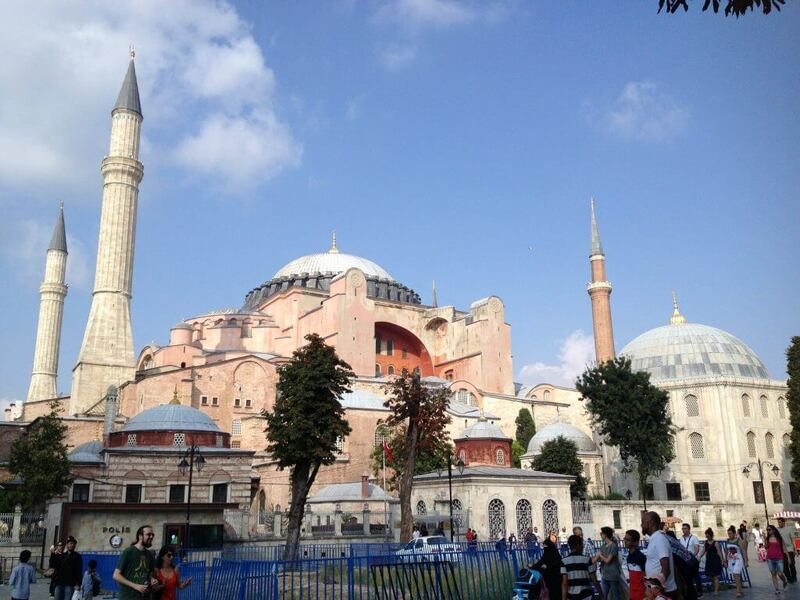 Our first afternoon, we just wandered, as we were oh so close to the Hagia Sophia and the blue mosque. 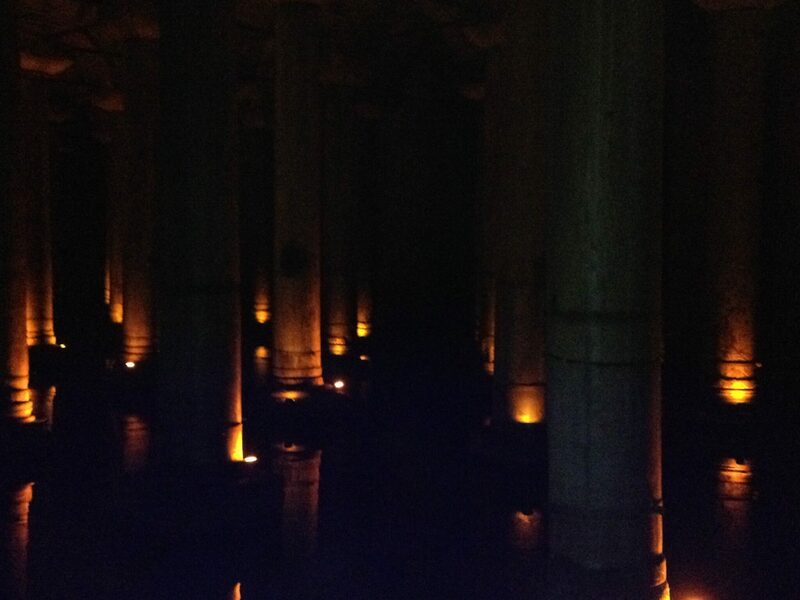 On a whim, we went and saw the Cistern – I was quietly amazed! Hagia Sophia. We chose not to pay to enter. 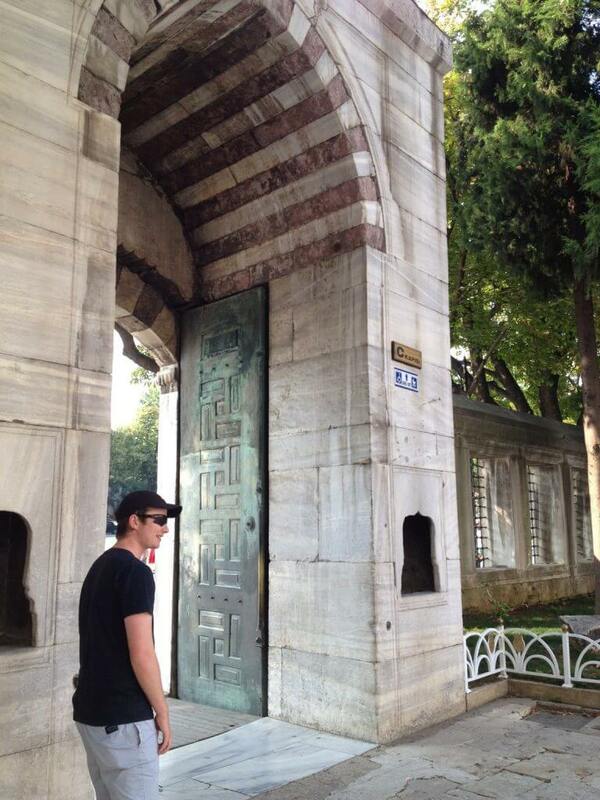 I would be really scared to go to Turkey, on so many levels. What with the coup. What with the general instability of the area. And with being a woman. Even more adventurous than before! What did you wear going around the streets? Did you have any difficulties? I’ve travelled to a few Islamic countries (UAE, Egypt, Israel), and I have to say that Turkey is more liberal that others. Whilst UAE has a lot of non muslim residents, I feel like they are still a strong Islamic country, whereas I think Turkey is philosphically more liberal – like the local/native population understands there are those who dress modestly and those who do not. I do know that Erogdan (sp?) is a leader toward greater faith and Islamic ideals, but I didn’t feel that pressure day to day. Not like in Egypt in 2006, where I recall learning not a SINGLE hair should escape the head scarf. SO I wore what I wore when I travelled this whole trip – shorts and tops, often I wear a button up top in a light fabric to save having to wear sunscreen. 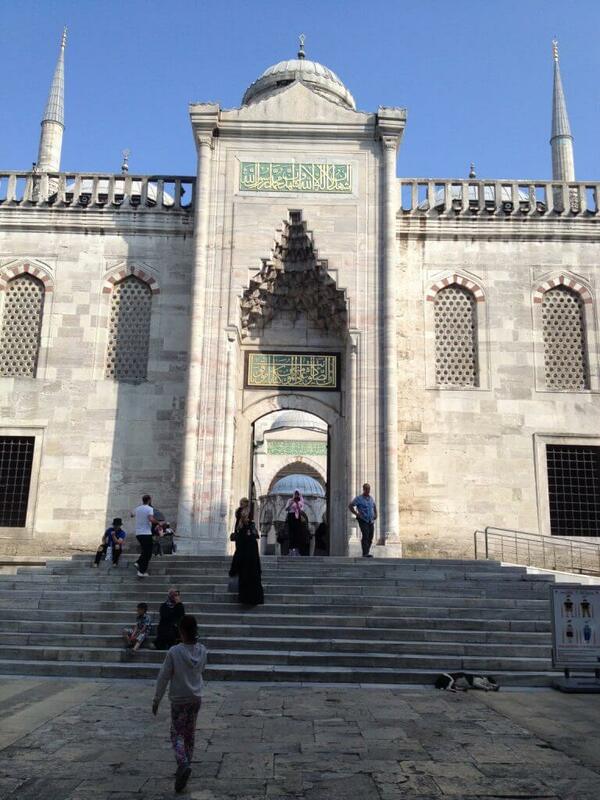 When we did mosques (one day) I wore light linen long pants. I didn’t pick Turkey – as in, it wasn’t somewhere I would have gone to if it’d been solely my decision. It’s not to day I did NOT want to go there though. It was lovely, and in many ways simialr to Greece, which I keep thinking I must return to. It’s relaxed and a water based culture, and laid back in the whole cafe/eating feel.